Formed in 2012, Kill Ritual is comprised of musicians from the California metal scene who’ve been playing in various bands for years. Their sound is reminiscent of old school Bay area thrash intermingled with trashy LA glam, but the songs on this album never sound stale or dated. 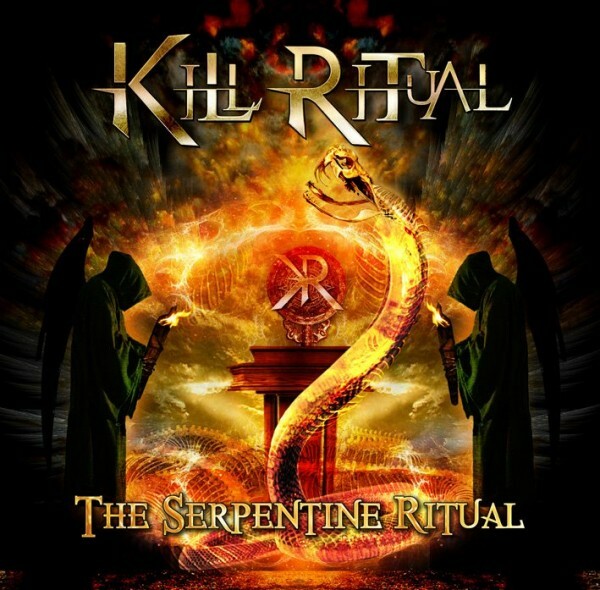 If you’re looking for something from a simpler time, before heavy metal began dividing and sub-dividing itself into innumerable categories, The Serpentine Ritual is for you. The title track and album opener is solid, but the album really hits it’s stride with the third, fourth and fifth tracks. Taken as a whole, “Time To Kill”, Ambush”, and “Old School Thrasher” are 15 minutes of punishing double bass drumming and face melting guitar riffs. If you bought this album for those three tracks alone, you’d get your moneys worth. Anyone who loves unpretentious, no-frills heavy metal that’s conducive to head banging and fist pumping is going to want to get The Serpentine Ritual.